Thanks to advances in modern technology and surgical techniques, many surgeries and procedures today can be done on an outpatient basis. 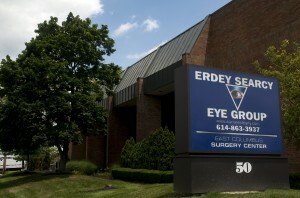 East Columbus Surgery Center provides state-of-the-art Outpatient surgical services. Our highly respected, qualified staff has your good health and best interests in mind and they are here to give you the quality of care that will get you back on track as soon as possible. Our physicians, nurses and technicians are the finest available. From the moment you come in for pre-surgery evaluation through your recovery period, our staff will give you the specialized care and attention you deserve. Surgery doesn’t have to be a stressful experience. We want you to know what to expect and feel comfortable asking questions about your surgery or procedure (Frequently Asked Questions). We are committed to treating you with the specialized care and attention you deserve. prior to surgery. Do not take medications related to diabetes if you were instructed to fast prior to your appointment. Take any medication related to your heart, lungs or blood pressure in the morning with a sip of water. Do not wear heavy make-up or mascara. Wear loose fitting, comfortable clothing and shoes. You will not be asked to remove dentures or jewelry, but it recommended that you leave valuables at home. Do not bring large amounts or cash, but you may need to bring payment for prescriptions that are to be filled after surgery. Please arrive at the Surgery Center at the time you were given. Arrange for a responsible person to drive you home on the day of surgery. Please bring the following items with you to the Surgery Center. ALL of your insurance cards or papers. We will need to make copies of them in order to minimize your costs. Print, fill out and bring with you the Medication Form, or bring your medication bottles for the nurse to review. A list of previous surgeries. If you require any sedation for your surgery, bring a friend or family member to drive you home after the procedure. Your ride home must be with a responsible adult who knows you and is willing to stay with you until you are properly settled and comfortable. This ride must be readily available when you are ready for discharge. Please arrive at the time you were given. Bring only necessary items with you on the day of surgery (What to Bring with You). While in surgery our highly qualified surgical staff will provide the finest care possible ensuring your comfort and well-being. During this time, your family may remain in the surgery waiting area where they will be kept informed of your condition. Your family may then re-join you in the recovery area when the procedure is completed. You will be given detailed discharge instructions prior to going home.